A fictional recreation of Rufforth from 1959. A fast circuit for the classic F1 mods. I recommend F1-1955,1967 & 1971 for best enjoyment of this circuit. Please note that this has not been created for 100% accuracy of the surrounding terrain and objects. I simply don't have enough time or patience for those who complain about these things and I cannot do them all myself. I did make this for enjoyment, so enjoy! Please read the readme and rate it! 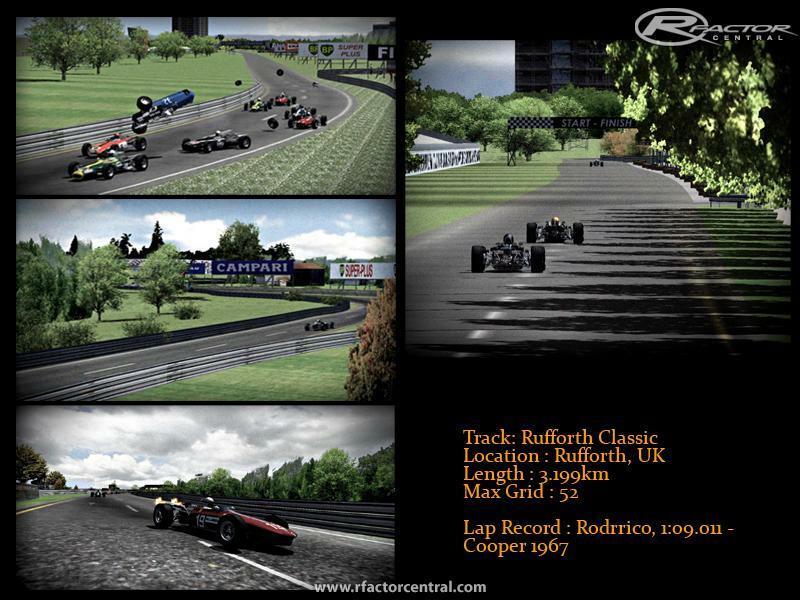 There are currently no setups for Rufforth Classic. Add a Setup. I think dead flat tracks are quite boring, so love what you've done with the track, but is there any reason why AI drivers go around a none exsistant traffic Island at the exit of the pits? Another thing I've noticed is that two laps are added when any car enters the pits, one when the car is moved into the garage & another is added when the car passes the start/finish line while exiting the pit lane, for some reason. First impression: what a good looking track ! Second impression: This is very "fictional". I can understand saving time to not make a track very accurate when the real track doesn't exist anymore, so nobody can see how accurate it is. But this Rufforth track is based on an old airfield. At least I like to see something of an airfield, but I can't see anything of it in this mod. But the track is very useful for old cars like F1 1967, 1970 sportscars or Can-Am. Rufforth was indeed around an airfield though there was not much there. the odd building or two and then just flat flat land all around. I figure this was more scenic. 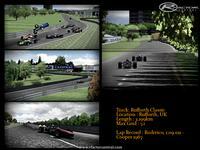 I made another track Zeltweg 1964 (which is not the best quality - but far from the worst on this site and it was rather plain and people on forums criticised me for this plainess. Therefore my second 'airfield' track is fictional. The original track was dead flat. 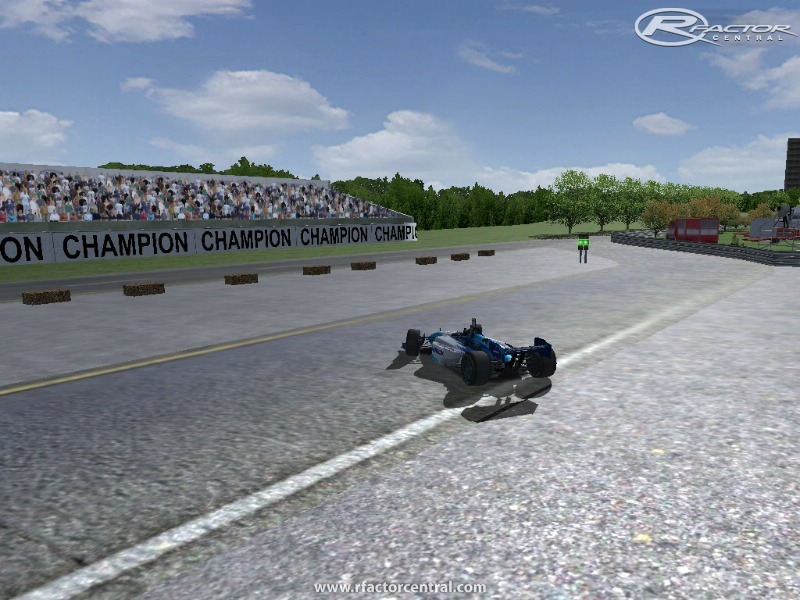 I think it is more exciting with a bit of undulating terrain and camber turns. Don't you?